Manufacturer of modular crane component kits, overhead cranes, electric chain hoists and wire rope hoists. 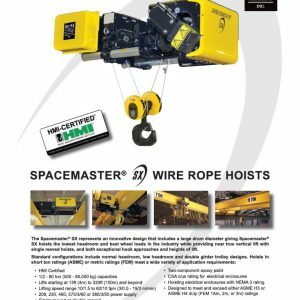 R&M Materials Handling, Inc. has almost 90 years of experience in the overhead manual, electric and wire rope hoists industry. By combining R&M’s pre-engineered, complete modular crane packages with their additional features, you can customize each order for individual customers. Every hoist is factory-inspected and load-tested; factory ISO 9001 rated. Headquartered in Springfield, OH (USA), R&M’s distribution network extends throughout North America, Central America and South America. This allows R&M to provide timely and accurate deliveries throughout the market. Contact R&M today!